Rooftop bars have a special ambiance simply by virtue of their location, and in Las Vegas, the showy city provides a few added attractions. Depending on the height of the rooftop, you might be chatting with the passersby below or taking in a vast panorama. Each setting has its own charms. 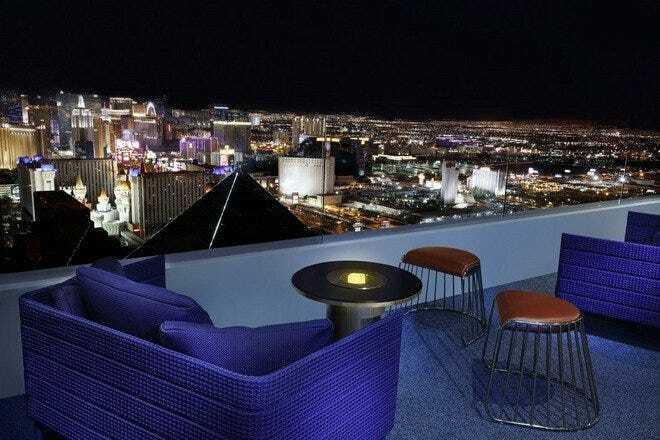 Skyfall at Delano is perched high over Las Vegas on the 64th floor and its patio area offers panoramic views of the city. As with many of the city’s more elevated (pun intended) bars, the vibe here is upscale. 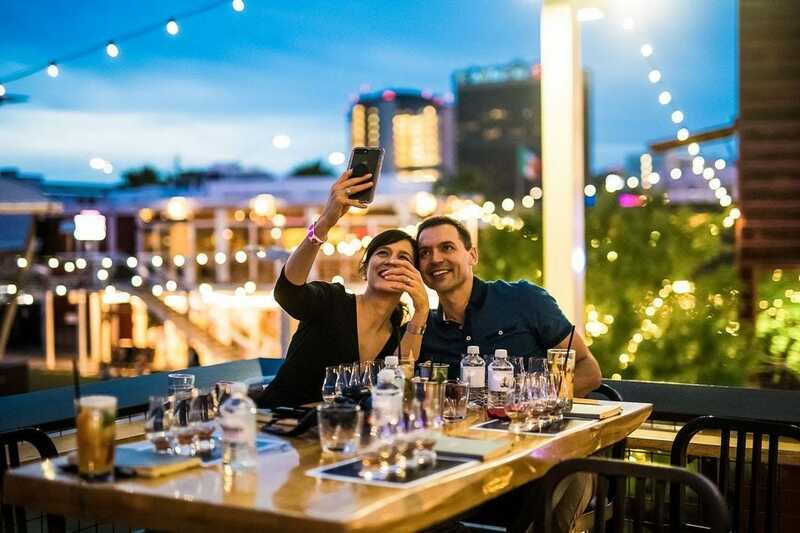 Downtown Las Vegas has embraced the rooftop bar, with several places offering rooftops or patios two or three stories up. 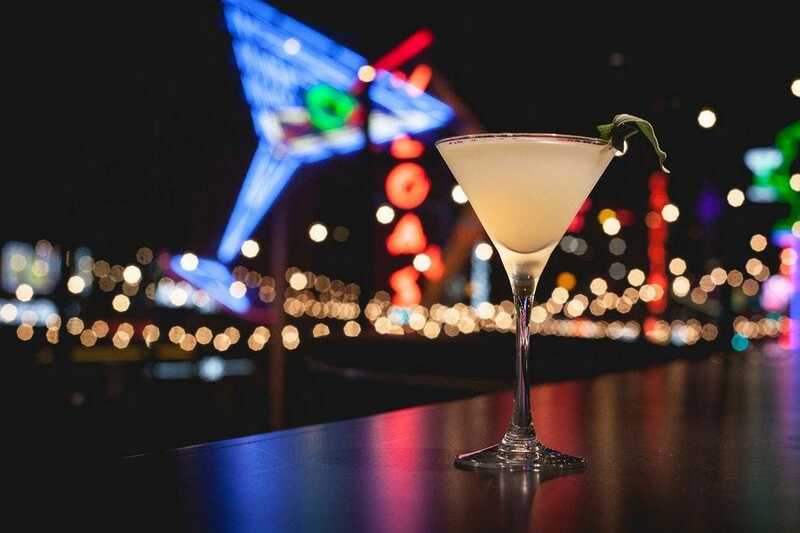 Not only does Downtown Las Vegas offer a casual, hip atmosphere, since their rooftop bars tend to be only a couple of stories above the street, but you’re also more likely to have good people watching. Try Commonwealth, Oak & Ivy or Inspire. Since the weather in Las Vegas is mild for most of the year, open-air seating is usually no problem. In cooler or warmer months, most rooftop bars have heaters or water misting systems to keep everyone comfortable. 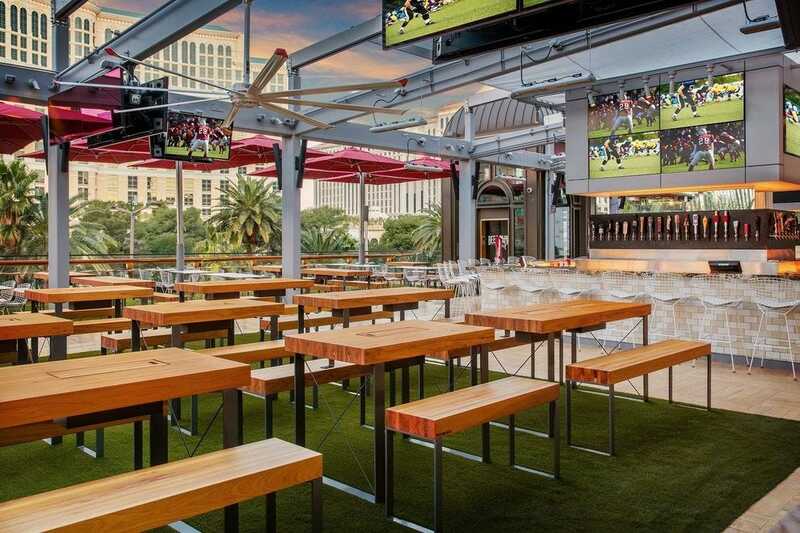 If you’d like to try out one of Las Vegas’ many rooftop bars, make reservations for patio seating if you can. Be sure to be sure to dress for the weather (and the dress code). For a memorable moment, try to time your visit around sunset. Scroll on down to read our recommendations for Las Vegas’ 10 best rooftop bars. High atop the Mandalay Bay on the 63rd floor, the exclusive Foundation Room was once open only to members. 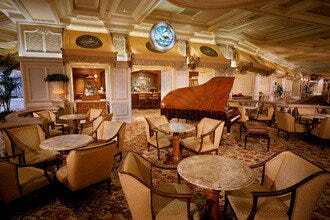 Today, both the restaurant and lounge are open to non-members (after 10 p.m. for the lounge). The spectacular view from the patio area is unequaled, and if you're lucky enough to be there as the sun is going down, be sure to watch the sunset. The ever-changing colors in the sky and all along the Strip are mesmerizing. The interior design has an upscale, feel, with lots of Asian and Indonesian elements lending it an exotic ambiance you won't find anywhere else on the Strip. 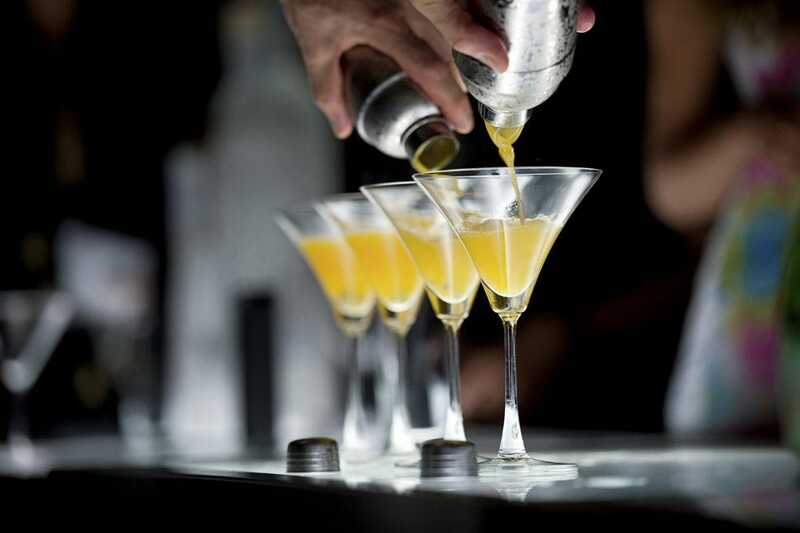 The attentive bartenders are happy to help you find the right drink--which you'll probably want to enjoy while seated on the patio, taking in the expansive view of the Strip from its southernmost point. Jimmy Buffet's Margaritaville was inspired by the singer's music and love of the beach, and its fun-loving atmosphere fits in well on the Las Vegas Strip. The three-level restaurant has six bars and live entertainment, plus a great view of the Strip from either of its two patios. Margaritaville's easy-going atmosphere is great for casual meals and drinks. The restaurant is located inside the Flamingo and serves from breakfast until 2 or 3 a.m. If you're looking for some entertainment, Margaritaville has music from Thursday through Saturday, with a DJ at 8:30 p.m. and live music starting at 10:30 p.m. Even if you're not a "Parrothead" you'll find plenty to like about Margaritaville. Oak & Ivy's menu is dedicated to craft whiskey and classic mixology, with handcrafted drinks that use the best in fresh, seasonal ingredients. This downtown bar is located in Downtown Container Park, and its distinctive drinks have garnered attention from locals, visitors and critics. The extensive drink menu includes a selection of barrel-aged craft cocktails, like the Mai Tai, only with a list of ingredients that doesn't sound familiar for this drink: Rhum Clement, Coruba, Velvet Falernum, Bols Orange Curacao and Orgeat. Crafted specialty cocktails, whiskey cocktails and a large selection of American whiskeys guarantee you'll find something aged and wonderful to sip on. Situated on the corner of Las Vegas Boulevard and Fremont Street, Inspire is part of the burgeoning (and very trendy) Fremont East District. Housed in a building that once was a convenience store, Inspire today offers three levels, including a rooftop bar and club. The first level has a theater with 150 seats, the second floor offers a lounge with an outdoor balcony and the third level is the rooftop, where you can have drinks along with great views. Friday and Saturday the roof turns into a nightclub, complete with DJs. Wednesday is Girls Night Out on the roof and Champagne is free for ladies. Bottle and table service is available (you can book online) and you'll find a total of four bars throughout the three clubs. 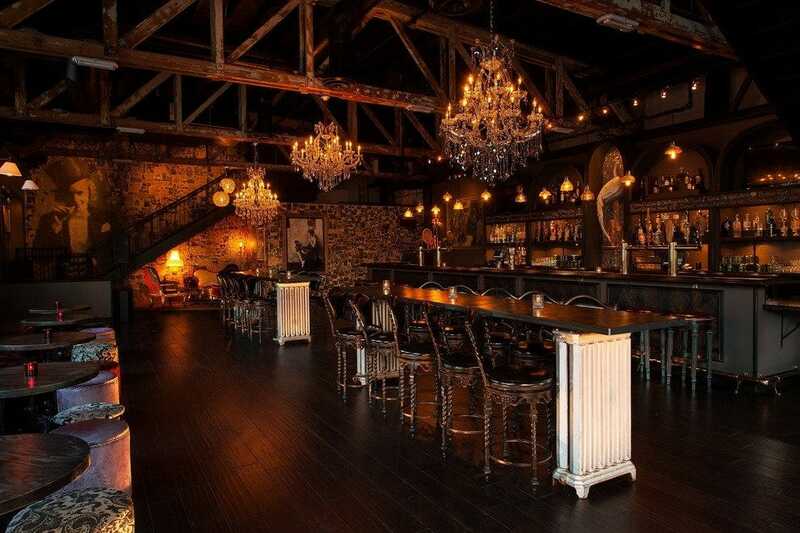 Commonwealth brings together music and drinks in a space with chandeliers, lots of brick and a party atmosphere. In addition to an impressive number of beers on tap and by the bottle or can, including Coors, Guinness and Dogfish, the cocktail menu is full of potent creations. The Little Hot Mess combines Bacardi Dragon Berry Rum, fresh lime juice and muddled strawberries, and The Dude Abides pays homage to "The Big Lebowski" with raspberry vodka, coffee liquor and Irish Cream. The rooftop patio (which opens at 10 p.m.) gives you a great view of Downtown Las Vegas, plus there's often live entertainment. This isn't a lounge for quiet conversation, but it is a place where you can dance and drink all night long. 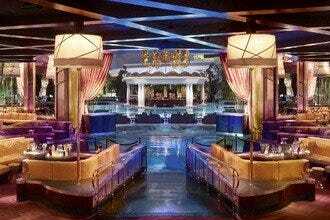 Drai's Beach Club and Nightclub operate as two venues in one and offers panoramic partying on The Cromwell's rooftop. 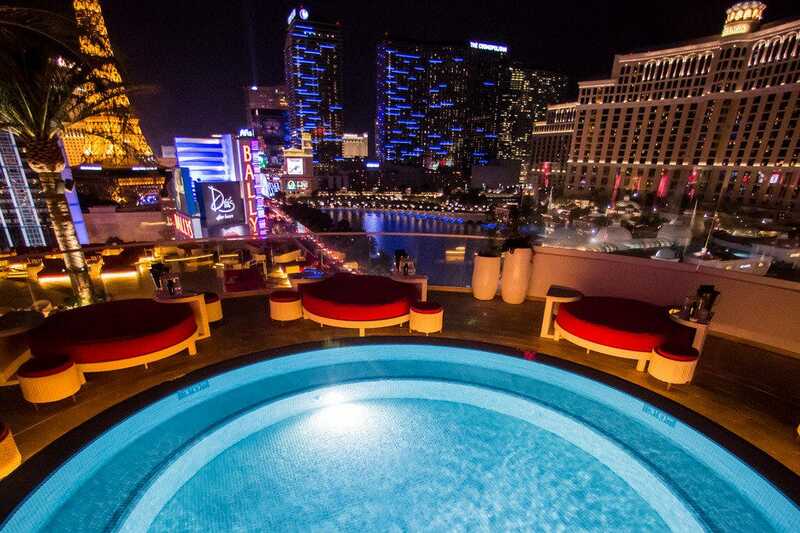 Located 11 stories above Las Vegas Boulevard on the roof of the boutique resort, The Cromwell, Drai's Beach Club and Nightclub take the Vegas nightlife experience to new heights. The 25,000-square-foot nightclub is spread out over two levels and features such amenities as a 1,785 square-foot LED screen, a towering 80-sided LED disco ball, two VIP bathrooms and six dedicated elevators so guests don't have to wait long to dance the night away. As for the music, there's sure to be something for everyone, with an open format, electronic and hip-hop nights. 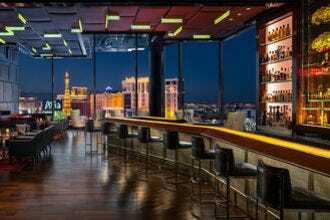 Located right off the Strip, 51 stories atop the Rio, the VooDoo Rooftop Nightclub & Lounge offers spellbinding views and suave bartenders who are prone to bust into juggling routines at random intervals. 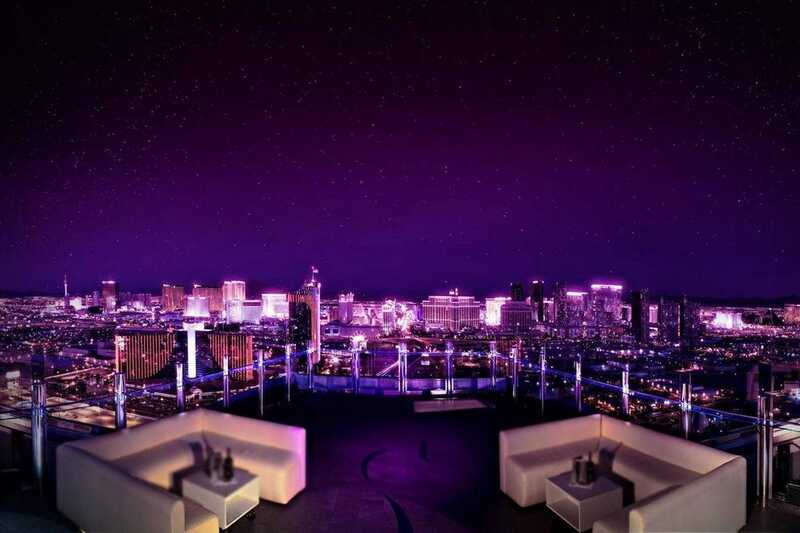 This nightclub offers spectacular, sweeping views of the city and an open-air veranda area where patrons can enjoy a cool desert breeze and some of the Strip's most potent cocktails. DJs play a mix of music, both old and new, but often with more retro tunes. 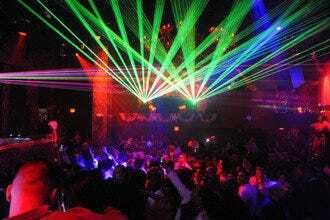 With an off-Strip location, VooDoo's ambiance is a little more relaxed than many of the Strip's clubs, and the crowds tend to be smaller. 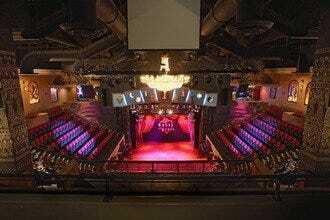 Indoor space is also available, as is the expected VIP bottle service. 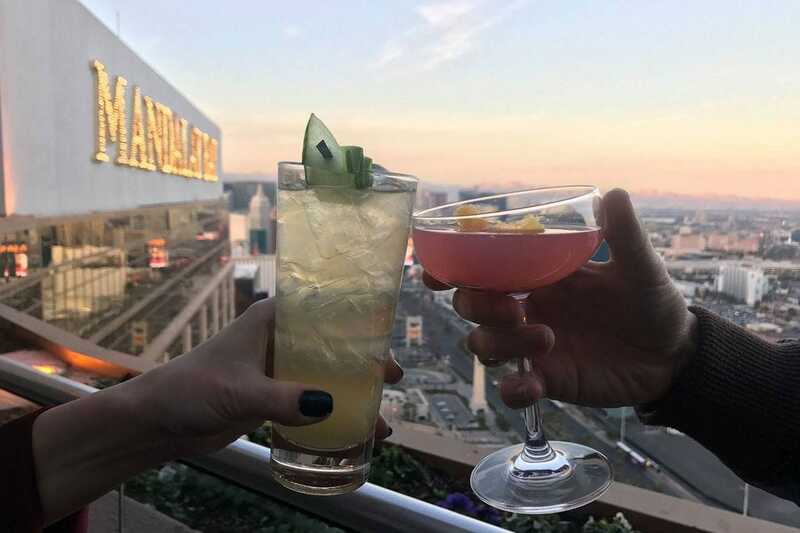 At Apex Social Club on the 55th floor of the Palms Casino & Resort, you can gaze at a panoramic view of Las Vegas, savor well-crafted drinks, see intriguing art and dance. The roomy outside patio gives the club an open-air vibe, and the chic interior features intriguing artwork. Apex was created as part of a property-wide renovation at the Palms (formerly, the space was Ghostbar) and the updated design is sophisticated and upscale. Apex is a lounge until about 10 p.m. when the DJ takes over and the dancing starts. There's no formal dance floor, but that means you can pretty much dance wherever you'd like. You can also catch live music--Rick Ross recently performed on the patio. Bottle service and reserved tables are available. Located on the 64th floor of the Delano, Skyfall's spectacular views of Las Vegas will captivate you while you sip on one of their innovative cocktails. A warm, inviting decor offers plentiful seating, and the expertly crafted drinks are sure to please (they'll understand if you like your martini shaken, not stirred--yes, there's a slight Bond theme). The lounge evolves throughout the night, beginning the evening as a more relaxed space and getting its nightclub on later in the evening when the DJ starts the music. Inside and outdoor areas are available, and the upscale restaurant, Rivea, is just next door. But while the drinks and music are certainly worth coming to Skyfall for, it may be the terrific view that keeps you around.